Clinical practice guidelines are an important part of medical practice, but scarce funding for updates and the risk for bias have raised challenges. With the ubiquitous availability of digital technology such as smartphones, smart watches, health-related apps, and patient monitoring devices, the era of mHealth is upon us. 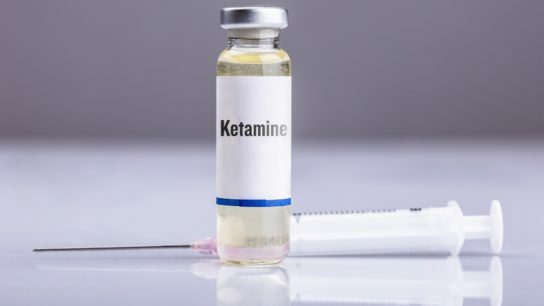 Researchers conducted a double-blind crossover study in adults with treatment-resistant depression to determine the involvement of the opioid system in ketamine’s antidepressant effects. The promise of big data and predictive analytics to provide new predictive models and improve the practice of medicine must overcome 4 major hurdles before it can be considered of clinical value. A providers’ capacity to feel compassion is affected in part by the practice environment. Study results serve as an important impetus for physicians, nurses, hospital administrators, and others involved in the care of hospitalized patients to optimize sleep in the hospital setting. The FDA continues to battle the nation’s opioid problem even as it looks to detect and prevent the next threat. Senator Elizabeth Warren introduced a bipartisan bill in June 2018 (S.3032) that would exempt most marijuana-related activities from the Controlled Substances Act when they are allowed under state or tribal law. With the explosion of big data and its use in human biomedical research comes the possibility of unauthorized parties accessing data and potentially re-identifying de-identified personal information. In recent years, more healthcare professionals are choosing to work for organizations rather than starting their own practice.